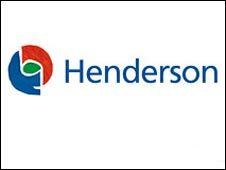 UK investment fund Henderson Group has announced it is to establish a new parent company in the Republic of Ireland to reduce its tax bill. Henderson said the move would cut the rate of corporation tax it pays from 28% in the UK to about 20% in Ireland. Its announcement comes after similar moves by Shire Pharmaceutical and news group United Business Media. The UK government cut corporation tax to 28% from 30% in April, but some of its other tax moves have been attacked. The amount of tax companies and business people have to pay in the UK has been in the headlines this year for two main reasons. Firstly, the government is continuing to look at changing the way UK firms pay tax on their overseas earnings. While critics fear this will increase tax bills, the government insists that any change will be tax neutral. Secondly, non-domicile foreigners who have lived in the UK for seven of the past 10 years now have to pay £30,000 to continue to avoid paying tax on their overseas earnings. Critics say it could drive some non-domiciles, or "non-doms" out of the UK, losing Britain access to their skills or investment wealth. The government has also been criticised for changes to capital gains tax - the tax paid on selling a business. In a complex corporate move, Henderson said its new holding company would be "incorporated in Jersey and tax resident in the Republic of Ireland". "Notwithstanding recent suggestions concerning possible changes to UK tax laws, the directors believe that the most appropriate structure is for the new parent company of Henderson Group to be tax-resident in the Republic of Ireland," the firm said in a statement. A Treasury spokesman said that while it could not comment on individual companies "the UK continues to offer one of the most competitive business tax regimes of any major economy". "However, tax is just one of a range of factors that contribute to our competitiveness," he said. "Among these are the highly skilled workforce, world class infrastructure, and the internationalism and openness that make us a leading international base for business." Chancellor Alistair Darling admitted back in May that "getting business tax right is not easy". new holding company, which will be incorporated in Jersey and tax-resident in the Republic of Ireland.